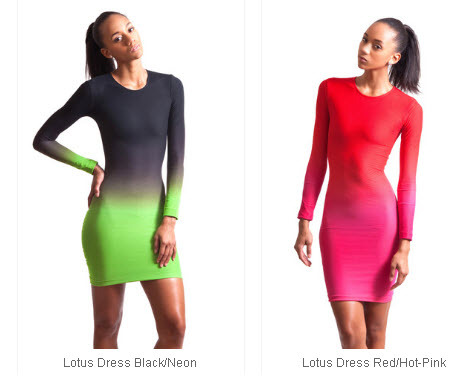 I've been completely obsessed with the ombre bodycon dress made by Ekineyo for quite some time now, but the $188 price tag kept me at bay. 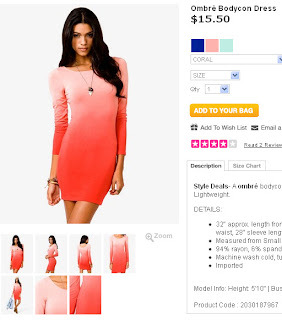 Imagine my shock when I saw Forever21's version of the popular dress on their site for $15.50!! Yes, Forever21 comes through for the win once again. I'm all about supporting up and coming designers, but it's hard to break the bank for something so trendy when retailers like F21 and Zara crank out decent versions for a fraction of the cost. So, let it be known that while I love Ekineyo's version, I'll be rocking the F21 version. I can put that $172.50 I'll save towards my vacation fund! What do you think of the dress? Will Ekineyo get your $188 or will you opt for Forver21's $15.50 version?